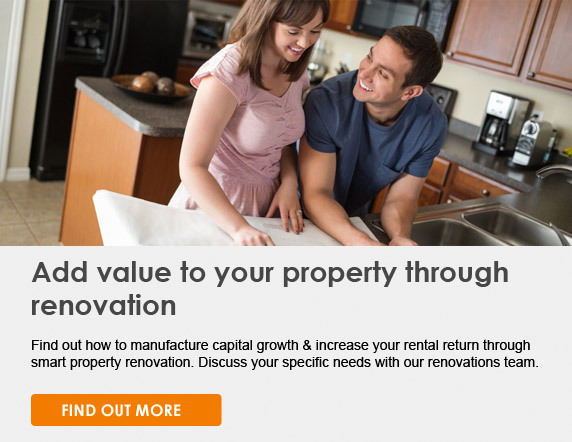 Did you realise you could increase your investment returns by renovating your property? Ensure you get the best financial result from your renovation, by advising from a business investment perspective, with no emotional ties to the property. Provide objective advice to minimise the risk of over capitalising on your Melbourne property renovation. Give strategic advice on apartment renovations and house renovations in Melbourne. Provide a no cost, no obligation quotation to renovate your Melbourne investment property, plus a list of specifications and a time frame to complete the works. This means that you can maximise your investment dollar, while at the same time avoid the stress and uncertainty of managing your own renovation. We specialise in assisting landlords, Body Corporate Services and Property Managers across Melbourne renovate their homes and apartments. Our key focus is maximising the returns on your investment property, by renovating to suit the target market and minimising the time your property is not working effectively for you. We have our own team of supervisors, carpenters and painters in Melbourne. We also have long term relationships with all of our subcontractors, so you can rest assured they are top-quality tradespeople. We provide our clients with fixed price contacts. We also guarantee the completion date of the renovation so that your Melbourne property can be re-let as early as possible. We do all the running around for you. As a property investor, you don’t want the hassle of coordinating relevant subcontractors, supplier’s body corporate services needed to complete the job. You need a professional Melbourne renovation team to get the job done quickly and hassle free. We continually research the rental market in Melbourne and work closely with a large number of Property Managers. We know what tenants want and tailor our house and apartment renovations to suit. Our track record speaks for itself. Every client we have renovated for in Melbourne has achieved the benefit of increased rental returns of up to 60% and increased market values of up to 67%. Have a look at our case studies for more information. You have the security of dealing with Melbourne’s market leader in investment property renovation. We also specialise in renovating homes and apartments across all Melbourne suburbs – east, west, north, south-east and CBD. 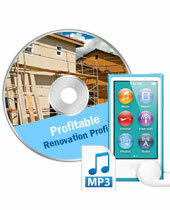 Get an instant download of this special audio program – Profitable Renovation Profits – investors guide. Don’t buy or renovate an investment property until you listen to this program!